Simon Sinek’s recent talk discusses the importance of trust, authenticity, and meaning. Sinek argues that as individuals and companies, everything that we say and do is a symbol of who we are. And it is only when we communicate our beliefs authentically that we can attract others to our cause, and form the bonds that will empower us to achieve truly great things. 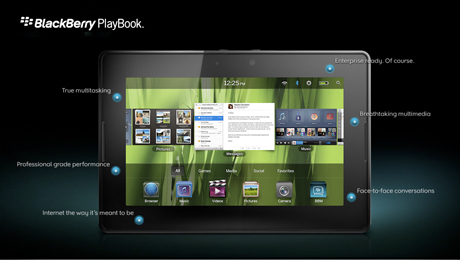 I think i’m talking about Adobe max 2010 lately but i saw the demo of Blackberry Playbook using Adobe Air, Adobe Flash Player 10.1 and HTML 5 technology and it impress me a lot with symmetric multiprocessing and multitasking. So i thought to read more about it. Not Sure but it can be a rival of apple ipad beside apple store is huge so its too early too comment on that. Also if you like to discover how BlackBerry App world can be used to deliver your application to users and generate revenue, watch this recent video from Adobe. Flowella is a simple, AIR-based design tool that allows you to quickly create prototypes without writing a single line of code. If you are user experience designer or visual designer, this tool can help you. But since it’s from Nokia it supports Symbian devices right now (e.g. 5800, N97, etc). The program outputs Flash Lite or WRT for the interaction mockups. 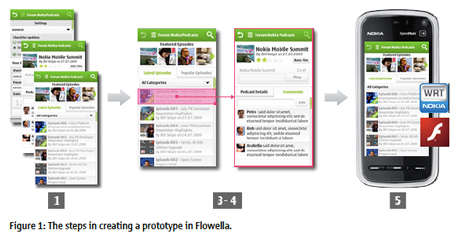 “Flowella is an easy to use tool that enables designers and developers to create design prototypes — without writing a line of code. Prototypes are built using images of screen mock-ups and defining links between the screens. This information is then used to create an Adobe Flash Lite 3.0 application or Web Runtime (WRT) widget. These applications can then be run on one of over seventy Nokia devices or in a simulator supplied with Flowella, enabling the application interaction to be assessed. Create interactive prototypes in minutes using a WYSIWYG interface. Compatible with computers running Apple Mac OS X and Microsoft Windows computers. Export prototypes to Adobe Flash Lite applications and Web Runtime widgets. Prototype application compatible with over seventy compatible Nokia devices. Ideal for testing of visual and interaction design. Via Adobe, They are pleased to announce a beta draft of “Optimizing Mobile Content for the Adobe Flash Platform.” Adobe provided dozens of tips and tricks for improving the performance of ActionScript applications running on mobile devices. A new article published in Adobe Developer Connection, about Authoring mobile Flash content for multiple screen sizes. Christian Cantrell explain several techniques to help Flash developers author content that will render properly on any device, regardless of its screen resolution and pixel density. Adobe is working on couple of new upcoming phones under open screen project like Palm Pre, Motorola Droid and Google Nexus One with the power of Adobe flash player 10.1. Via Alessandro, Dale released a new video tutorial about Streaming MP3 Audio with Flash Lite 3.1. you can also download Source code for this example. This session was designed to Learn how to create and distribute Flash Lite applications and content to the largest mobile audience in the world – Nokia phone owners – via Ovi Store. Also discover how to develop Flash Lite applications for Nokia’s touch screen devices. Via Serge Jespers, Intel’s Developer Forum Engadget recorded a demo of an Intel (an Open Screen Project partner) based set-top box running a Flash based user interface and Flash based applications. The heart of this set-top box is Intel’s CE 3100 Media Processor which according to Engadget “combines an 800MHz Pentium M core with a proprietary video processing core all on one chip. That’s about as much power as a 1.2GHz Atom”. The video demonstrates the Flash UI on top of a Linux operating system. It shows how you can add Flash based applications on top of a video signal coming from the tuner and run full screen Flash based applications. The future is bright for the Flash Platform! Flash on! Looks like an early stage development, and lot of work is required in User interface to make them smart!!. Via Mark Doherty from Adobe gave a sneak peek of upcoming Flash mobile at FITC, 2009. The new upcoming version of Flash Lite 4.0. while Flash 10 for devices is also in the process. According to Mark, Flash Lite 4.0 supports ActionScript 3, and it is a browser plug-in (i.e. not standalone player). 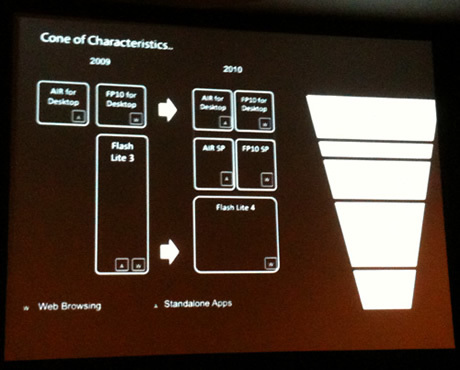 Same for Flash Player 10 for devices – a browser plug-in (in his slide it was showing 10.1 in Device Central 3). AIR for mobile is the standalone player. SWFPack, a mobile packager (created in AIR) for S60 3rd edition and up, and Windows Mobile 5 & 6. It builds deployment bits (.sis and .cab) for the two platforms with just a few clicks.